This guide is written to help you deploy the taskbar application settings to multiple computers on your network. Once you have set each computer to receive the network configuration any changes made to the master configuration will update each of the clients who are set to use the network configurations. Ensure all computers that are going to share configurations are on the same build (best to always update to current for best compatibility). Open the taskbar application and configure any profiles and settings you wish to deploy. Next go to Settings and click the padlock to unlock the policy settings (if you don’t know how to unlock the padlock please contact us). To save a new configuration click the save to disk icon. 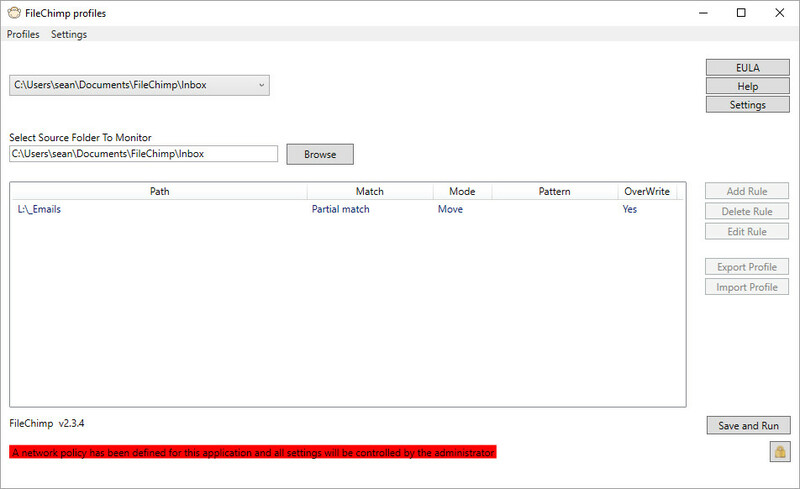 To ensure the configuration is applied click the padlock once more to exit policy settings. FileChimp will require a restart (it will prompt you to restart). 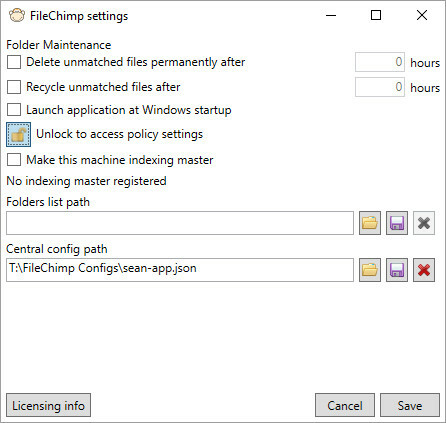 If you return to the FileChimp Application you will see a red warning indicating that this machine is controlled by a central policy.